I have finally done it, jumped into blogland, hoping to share my ideas and what I make with whomever is out there. I hope you'll enjoy my posts and find products you love in my Etsy shop. First a little introduction. I am a mother of two boys, wife to an indescribable man. I work a demanding job and love to escape to my sewing room when I find some spare time. It's not much of a room, just a corner in our laundry room in our dark basement, it’s not very pretty, but it is my escape. So why Jak and Will? I wanted a fun title, and what better than one that somewhat comes out of a nursery rhyme and pays homage to my sons… I know, it’s corny, but everyone needs ‘corny’ now and again. For my first post, I also want to share my latest project. It is totes that I made for five boys in my life. I sure hope they will like them! Welcome to blogland. It's nice here, really! Cute bags--I hope the boys like them too! Welcome to blogging! I'm new, too, and am really enjoying sharing about what I'm working on, but also being amazed and inspired by what others are doing. 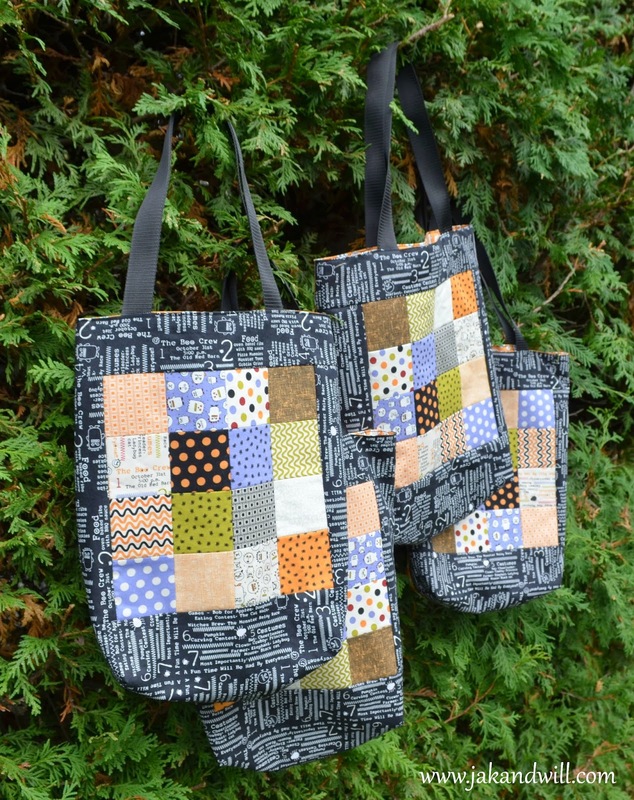 Your totes look like fun! Very cute tote bags. 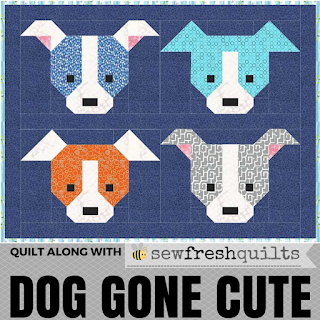 I just finished.wished a quilt using the same line of fabric...Love Sweetwater fabrics.